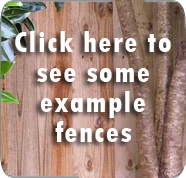 Post and rail fences have a very traditional look and are as popular today as they have been over the past 100 years. They are strong, durable can be made to measure in a variety of styles. Auckland Fences has many years’ experience as designers and builders of high-quality cost-effective wooden post and rail fences. We cover all of Auckland, including the North Shore, West Auckland, Waitakere and South Auckland. We also do fence and gate painting.